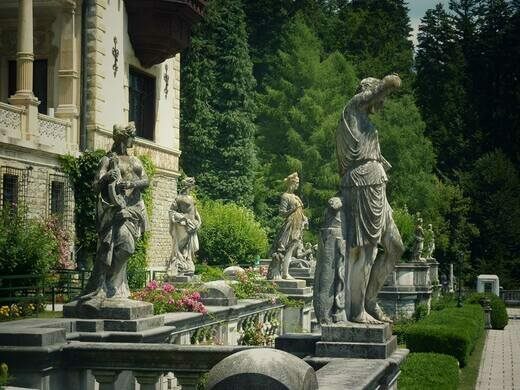 When King Carol I of Romania visited the small village of Sinaia in the foothills of the Bucegi mountains in the 1860s, he was captivated by its scenic location and commissioned the construction of a palace there. The resulting castle is easily one of the most stunning in all of Europe. A giant portrait of an ancient king looms over the river. A muddy alien landscape that is home to rare species of exotic plants. 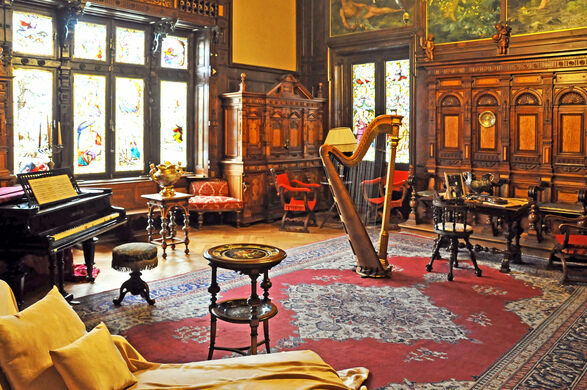 The construction took 10 years, but by the end of it, the Romanian royals had a summer palace equipped with everything from a movie theater to a concert hall. 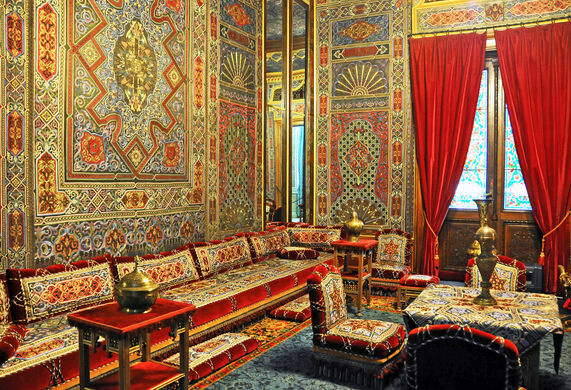 The ornate 160-room palace was built in a Neo-Renaissance style and each room had its own identity and theme. After its inauguration in 1883, the king and his family began spending their summers in the fairytale castle, which also served as the venue for important meetings during the early months of World War I. The first couple to live there, King Carol I and his wife Queen Elizabeth of Romania were known to be very different in temperament and interests. The king was an accomplished soldier who greatly expanded and improved the Romanian military, and the queen was more artistic, with a great fondness for music, art, and literature, and even published poetry under the pen name Carmen Sylva. Peleș, too, was a reflection of these two different personalities. On one hand, there was an extensive 4,000-piece collection of weaponry from Europe and Asia on display in the Weapons Room. 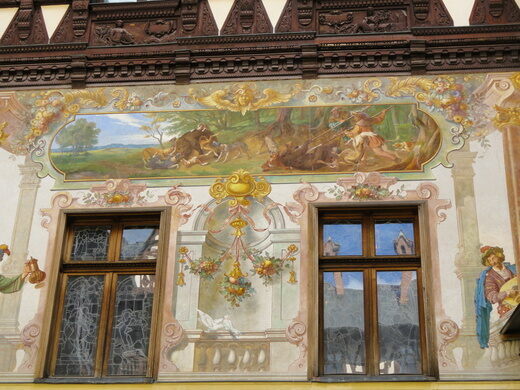 On the other, there was a beautifully appointed movie theater, whose walls and ceilings were decorated with frescoes by Austrian artists Gustav Klimt and Franz von Matsch. 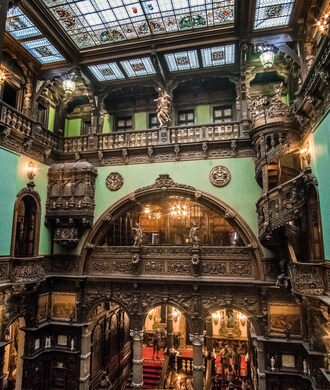 The first movie projection in Romania is reported to have taken place in this room. Other art forms were far from neglected. 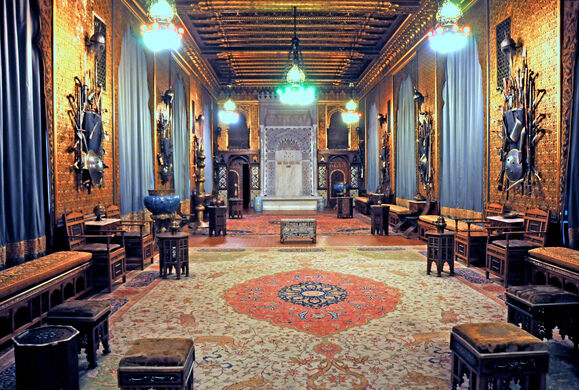 The Music Room contained intricate pieces of teak furniture gifted by the Indian Maharajah of Kapurtala and was used as a salon by Queen Elizabeth. King Carol’s successor, King Ferdinand built a smaller version of this grand palace right next door to it and named it Pelișor. 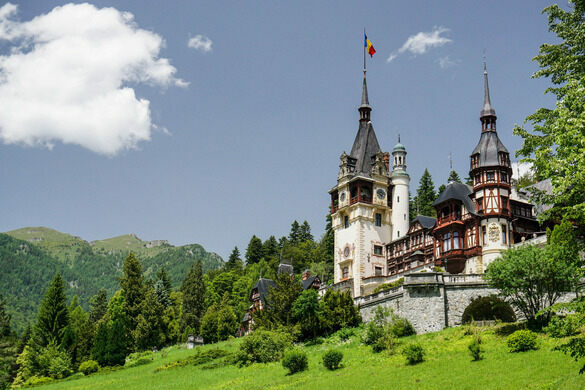 When Romania fell under Communist rule, Peleș, along with other royal properties, were seized, and the castle was closed between 1975 and 1990. Romanian dictator Nicolae Ceaușescu had his eye on it as potential protocol residence but this plan was thwarted by the caretakers of the castle who told him that fungus was growing inside and this would be detrimental for its residents. After the revolution of 1989, it was reopened to the public as a museum. You can take the train from Brașov or Bucharest to the stop in Sinaia. The castle is within walking distance, though taking a taxi may be preferable. Tickets have two price points: one for touring the first floor only, and one for touring both floors. There is also an additional fee for taking photographs inside the castle. During its winter schedule, between September 14th and May 14th, the castle is closed on Mondays and Tuesdays. During the summer schedule, the castle is closed only on Mondays. 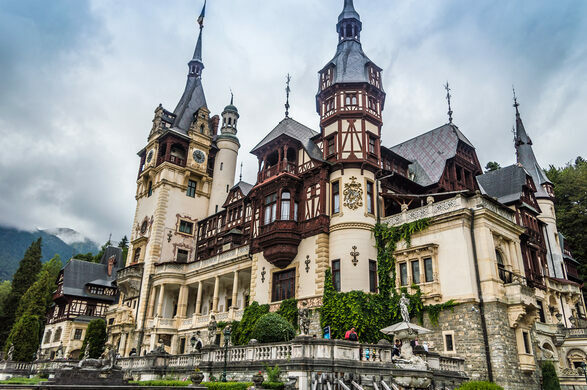 Peleș Castle is included in the Romania: Castles, Ruins, and Medieval Villages trip.